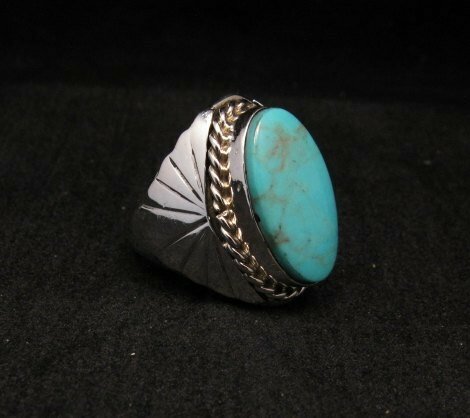 Native American mens handcrafted turquoise sterling silver ring by Navajo artist Betty Bitsie. 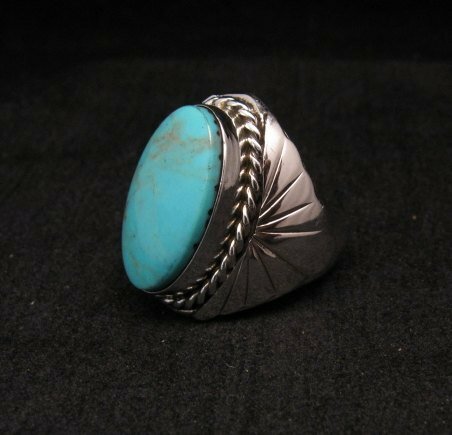 The sky-blue Kingman turquoise is set in a straight bezel ans surrounded with twister silver wire. Applied silver fans adorn the sides of the ring. 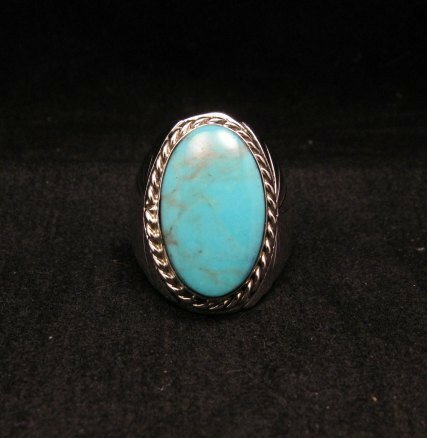 The face of the ring measures 1-1/8 inch tall by 5/8 inch wide. 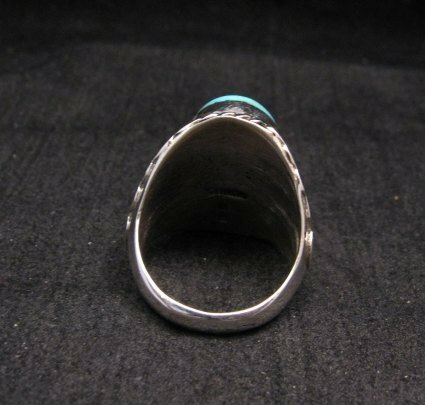 The inside of the ring is stamped sterling and bears Betty Bitsie's hallmark. Brand new and in perfect condition. Size 10 (tight).